I realize it’s well after Christmas, but with the chaos of the holidays, I wasn’t able to post much. Here’s one of my very favorite Christmas traditions that I share with my family! 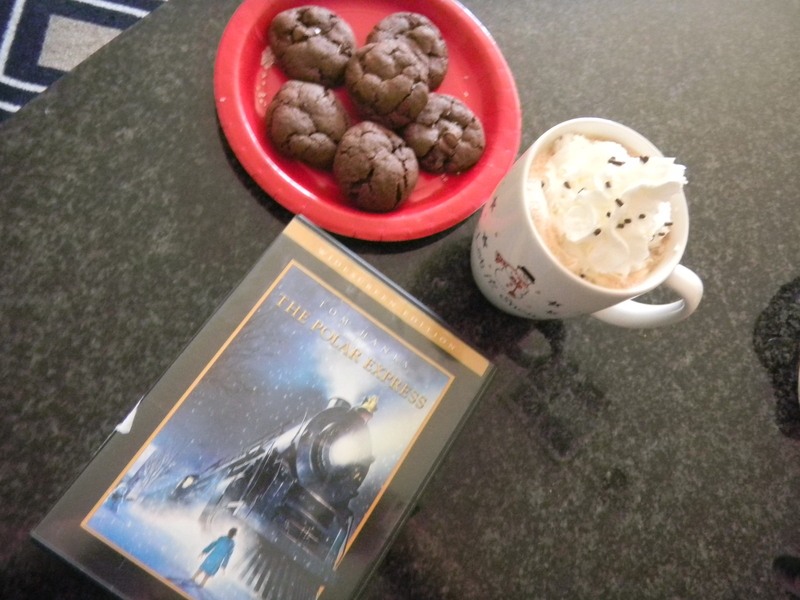 Polar Express, hot chocolate with whipped cream and sprinkles, and fresh out of the overn cookies! Every year, my family picks a night before Christmas and we watch Polar Express, drink hot chocolate, and eat freshly baked cookies! It’s one of my absolute favorite traditions because it’s the one time we all sit down together, snuggle up with blankets, and just enjoy a movie and relax together during the craziness of the holiday season. The movie is the perfect thing to get us all in the Christmas spirit, and it’s something we all look forward to doing together. My hope is that one day, when I have children, we will continue the tradition together, too. Do you have any favorite holiday movies that you share with your friends or loved ones?